The ASTRI FEST VOL.6 is an annual event held by the Student Senate of Budi Luhur Academy of Secretary. The event is themed “Give Your Magic Talent and Show the World” which means showing your hidden talent and show it to the world. 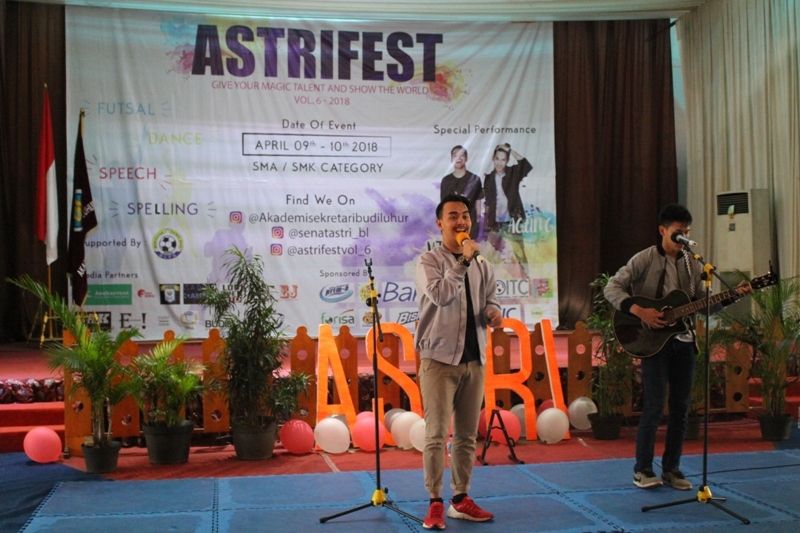 ASTRI FEST lasted for two days, from 9 April to 10 April 2018, at Budi Luhur Campus Auditorium. 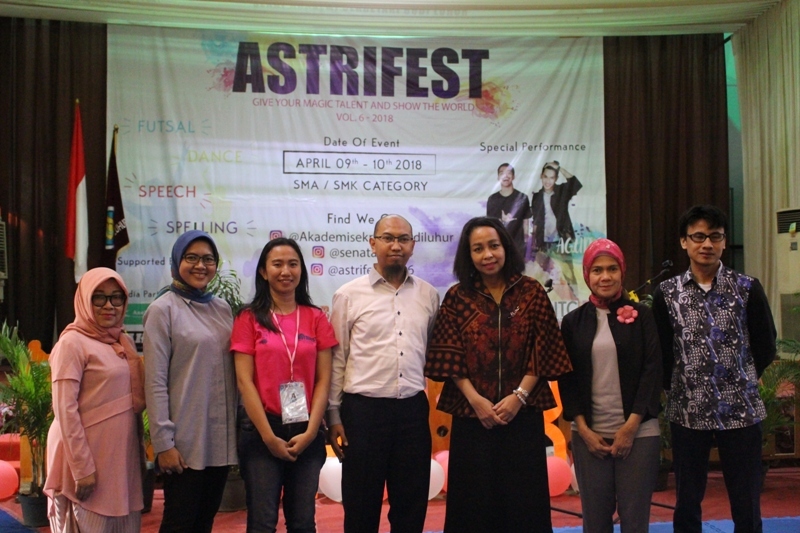 The event was attended by high school students / SMK in Jakarta and Tangerang area such as SMAN 90, SMA Budi Luhur, YMIK SMA, SMK Yadika, SMK YAPERA, SMA Letisia, SMA Budi Mulia, SMK PGRI and many more. 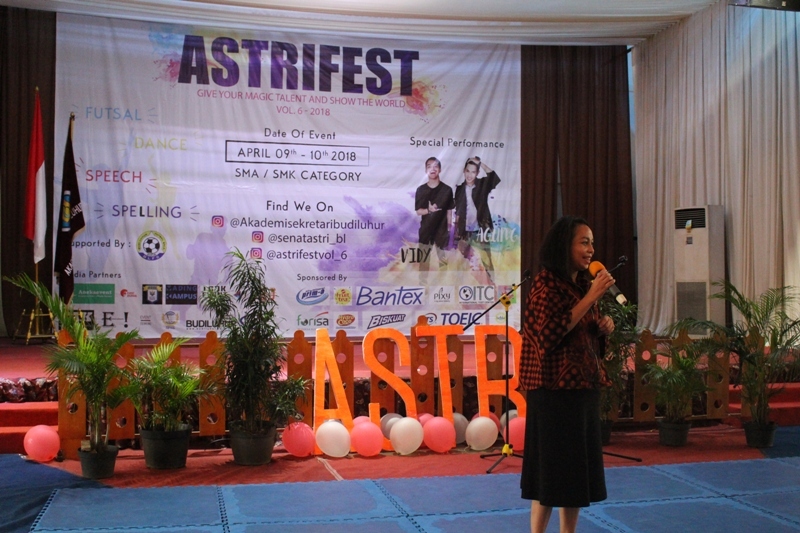 Ivana Larasati as Chief Executive of ASTRI FEST gave the opening speech of the event, then continued with Miss. 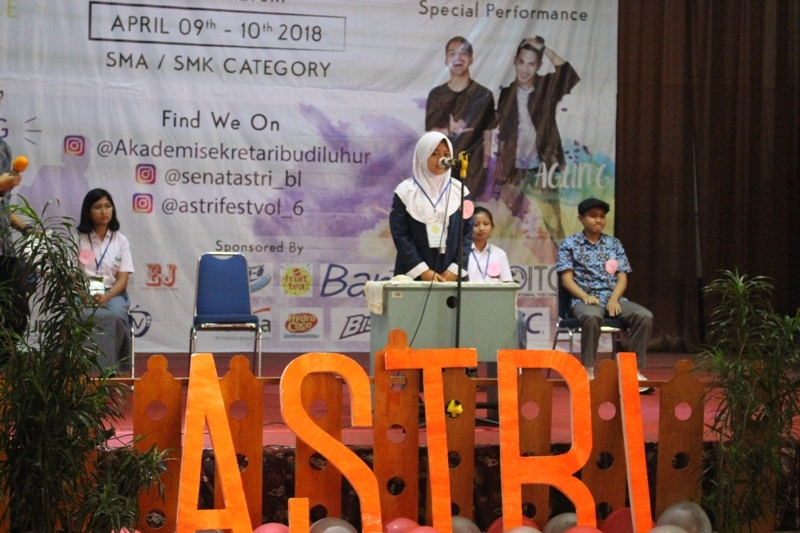 Fenti Sofiani, S.Pd., M.M as The Director of Budi Luhur Academy of Secretary who gave speech and hit the gong as a sign of the start of the whole series of events. 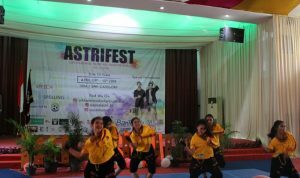 In this event, there were several competitions such as; Spelling, Speech Contest, Futsal and Modern Dance. 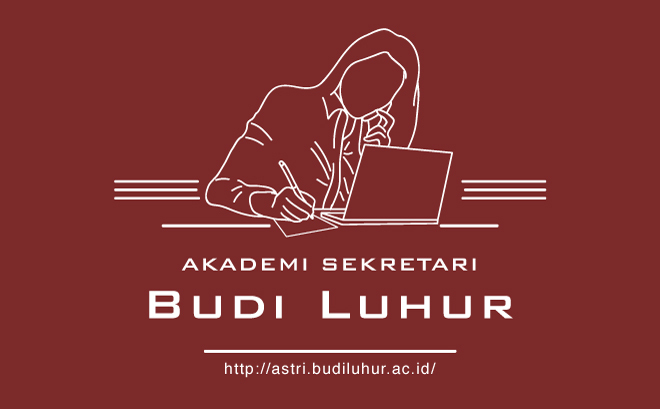 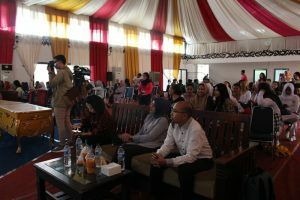 The events were held in separate places, namely the Auditorium Room and the Field of Budi Luhur Campus. This event was sponsored by Bantex, PT ITC (TOEIC), PT Mandom (Pixy Cosmetics), Hydro Coco, PT Forisa Nusapersada and supported by several media partners such as Budi Luhur TV, Radio Budi Luhur, Campus Info, Rajanya Event, Event News and much more. 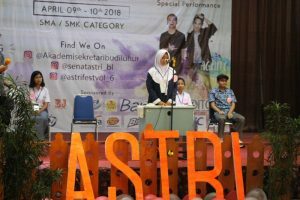 In this event, there were not only various competitions, but also bazars of students of Budi Luhur Academy of Secretary who sold various items such as Clothes, Cosmetics, food and beverages. 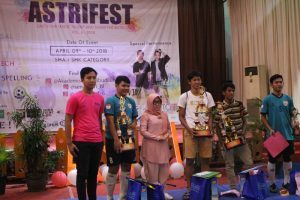 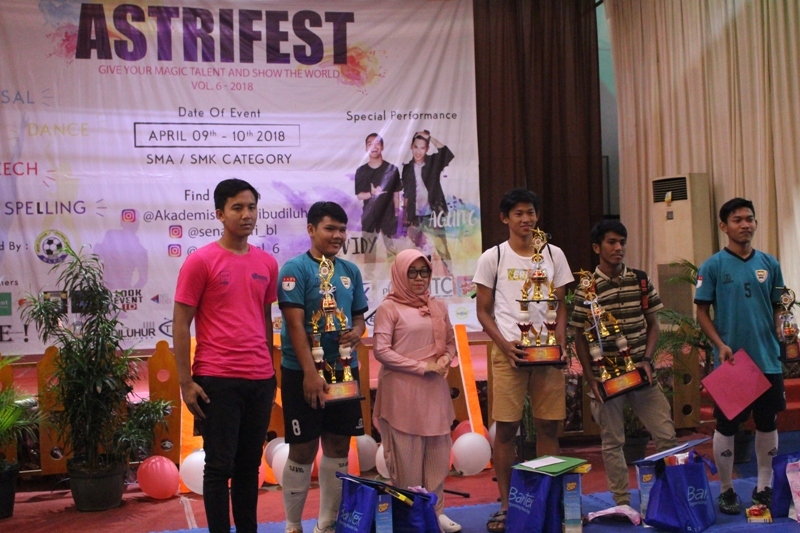 The event was closed on the second day by giving prizes to the winners by the lecturers of Budi Luhur Academy of Secretary from Spelling, Speech Contest, Futsal and Modern Dance. 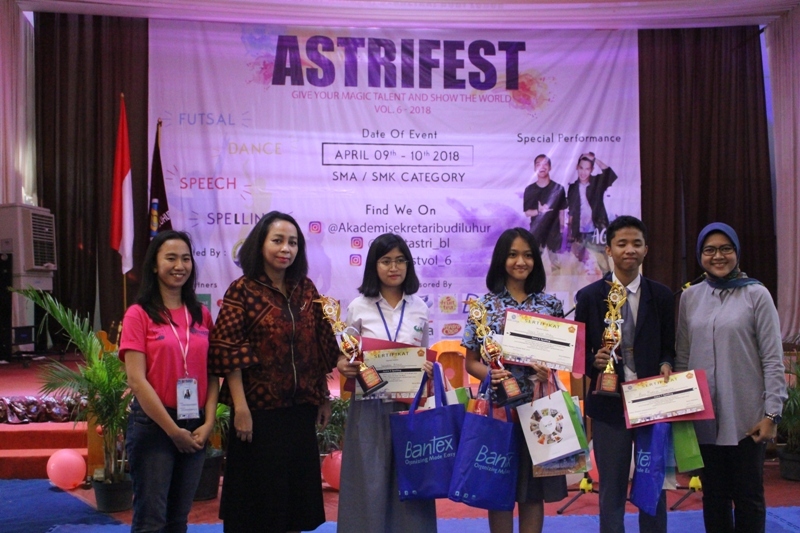 Prizes were awarded to three winners from each competition. Winners received trophies, awards and products provided by the sponsor of this ASTRIFEST activity. 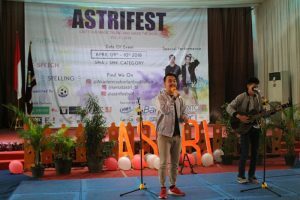 The event was also enlivened by the Academy Choir of Budi Luhur Academy of Secretary, Vidi and Agung. 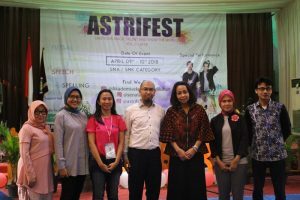 The event was closed by a photo with the winners with ASTRIFEST committee and the Management of Budi Luhur Academy of Secretary. 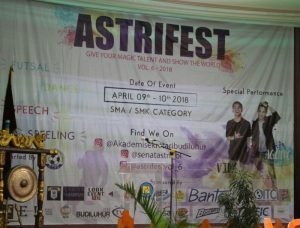 Hopefully this event can continue every year and provide benefits to all participants and committee of ASTRI FEST; the students of Budi Luhur Academy of Secretary.